Rev. Mark Steiger holds a Bachelor of Music Education Degree and a Bachelor of Arts Degree with a major in Religion from Baldwin-Wallace College, a Master of Arts Degree in Religious Studies with an emphasis in Biblical Studies from John Carroll University, and a Master of Divinity with a specialization in Christian Spirituality from The Methodist Theological School in Ohio. Prior to joining with the people at North Olmsted UMC, Rev. 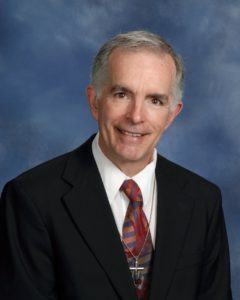 Mark served for seven years as the Associate Pastor of Church of the Saviour in Cleveland Heights, where he led worship, bible study, and youth ministry as well as sharing the visitation and administrative duties of the church. He comes to ministry as a second career after spending three years as a music educator and 24 years with the Greater Cleveland Regional Transit Authority where he served as Manager of Technical Support with the Information Technology Department. Mark and his wife Virginia live in Olmsted Falls, Ohio. Wendy Cooper graduated from Cuyahoga Community College in 1991 with an Associate of Arts degree. 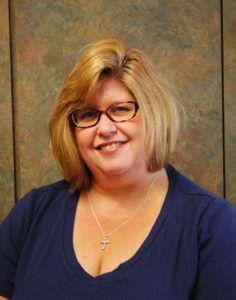 She moved to North Olmsted in 2003, and has been a Member of NOUMC since 2004. Wendy has been a stay-at-home mom since 1998. At NOUMC she teaches Sunday School and is the director of VBS and Son-Fest. 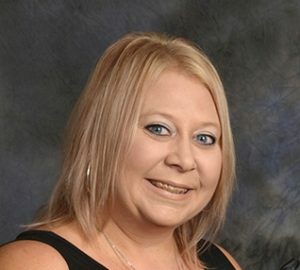 She also works part-time at her daughter’s dance studio. Wendy has taken 12 years of Bible study through BSF International. She is a preschool and portrait photographer. Wendy’s interests include photography, scrapbooking and reading. Wendy’s husband Bill is a sales rep and has recently started working for Agrinomix. She has two beautiful daughters, Emily and Amy. Amy is a freshman who loves music and dance, and Emily is a sophomore at Baldwin Wallace University. Wendy is thankful to God for this opportunity to help others learn about Jesus! 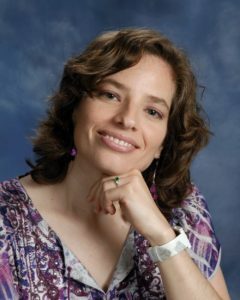 Gabriela Martinez began musical studies at the Alejandro Garcia Caturla Music Conservatory in Havana, Cuba. She completed the high school music program at the National School of Music in Havana. In Santiago, Chile she obtained the Bachelor Degree in Choral Direction and Vocal Performance at the University of Chile. In Santiago, she conducted several choirs including the adult choir of the Catholic University of Chile and the Choir of the Supreme Court of Santiago. She also worked as a choir supervisor and voice teacher in the children’s program of the Municipal Theater of Santiago. From 2004 to 2008 she was the director of the adult choir and the youth choir of the Municipal Theater of Temuco, Chile. She also directed other choirs in Temuco including the Universidad Mayor Chorus and the Children’s Choir of the German School. She performed soloist roles in La Traviata and Madama Butterfly at the Municipal Theater of Temuco. Ms. Martínez was part of the Cleveland Orchestra Choir for the 2008-2009 season. 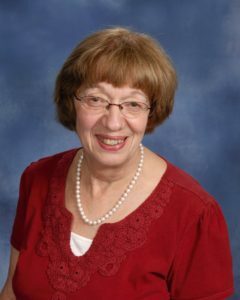 Marlene Dirksen is organist and choir accompanist at North Olmsted United Methodist Church. She received a Bachelor of Music Education degree from Cleveland State University where she studied organ with Dr. Margaret Scharf. Following graduation, Marlene served as organist and choir director at several churches in the Cleveland area. 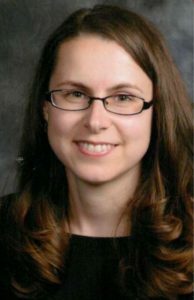 She has earned the “Service Playing and Colleague” certificates from the American Guild of Organist and also taught Music K-8 at Urban Community School. Katie Chapman is Youth Leader at North Olmsted UMC. Katie plans and leads our youth events, youth group meetings, mission opportunities, etc. She also takes an active part in our annual Youth Work Mission Trip. Katie has a background in preschool and early childhood education. When not working for the church, she enjoys kayaking, camping, and supporting her cheerleading daughters. Katie lives in North Ridgeville with her two daughters had her husband Bob.